Properties: White or colorless crystals, easily soluble in water. 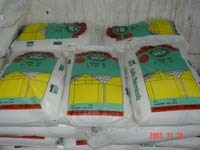 Packaging:Plastic-woven sack with polythene inner bag, net weight 25kg, 50kg or 1000kg. Store at a ventilated, dry place.